Accepting only Mainland Chinese citizens, Beijing Wanghua Inn offers simply decorated rooms in Wangjing Subdistrict, Beijing. Free WiFi is available throughout the property. 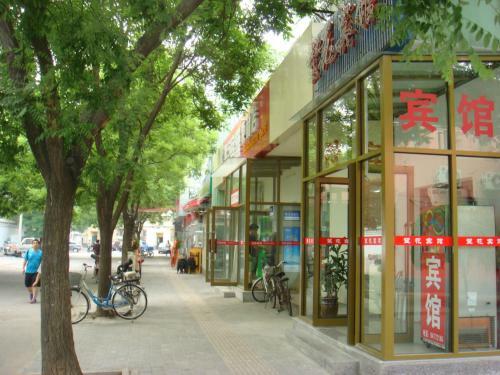 Located in Chaoyang District, Beijing Wanghua Inn is within a 5-minute walk of Beijing University of Chinese Medicine and Central Academy Of Fine Arts. It takes 15 minutes to get to 798 Art Zone by taxi. Beijing Railway Station and the Forbidden City are both a 45-minute drive away. Beijing Capital International Airport can be reached in 30 minutes by car. All rooms are equipped with air conditioning, a flat-screen TV and heating facilities. Slippers are provided in the private bathroom with a shower. Please note that due to local licensing guidelines, Beijing Wanghua Inn is only able to accept Mainland Chinese citizens. Guests must present a valid PRC Identification Card upon check-in. The property apologises for any inconvenience caused.